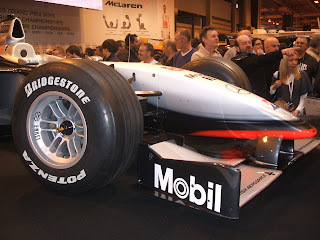 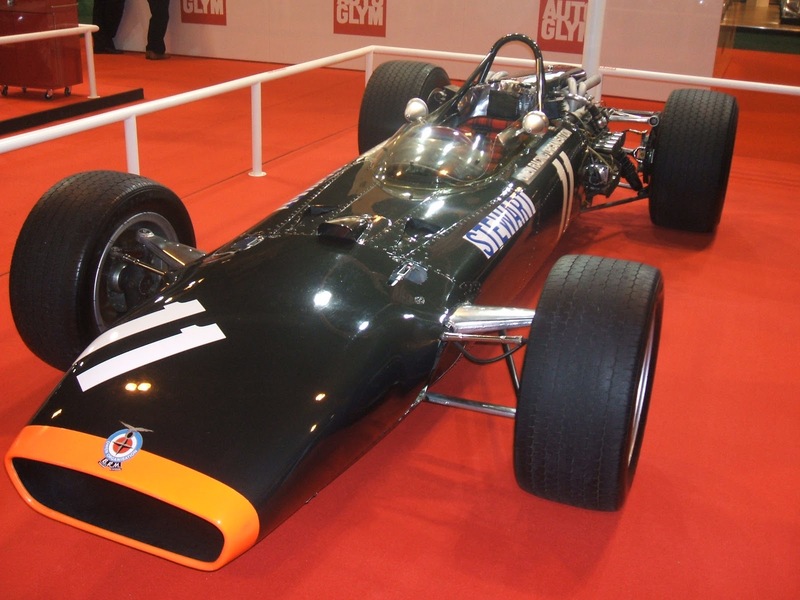 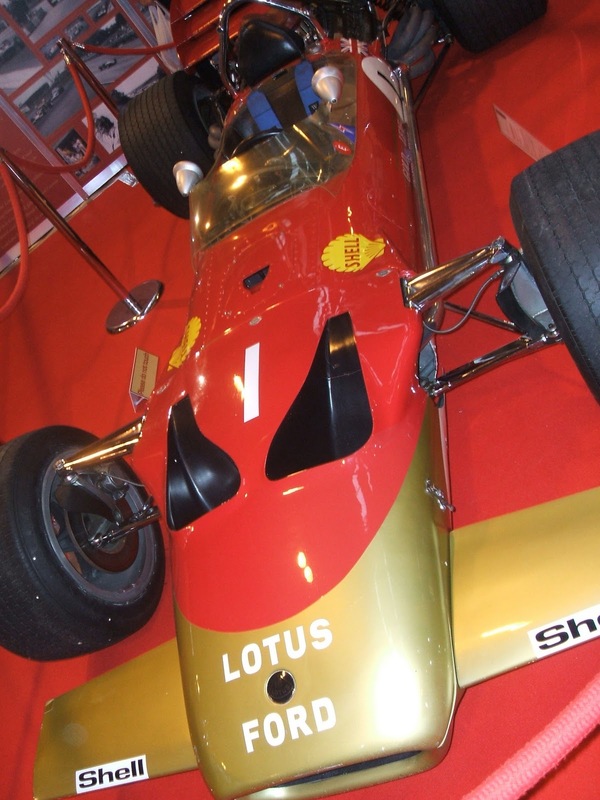 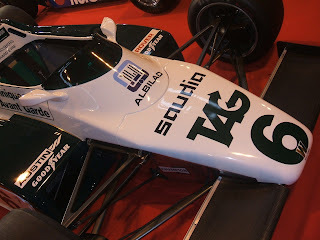 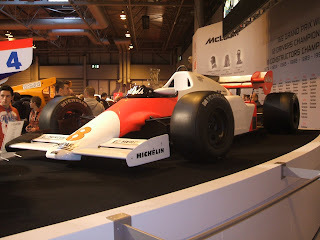 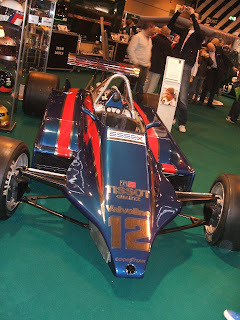 I was in Birmingham for the Autosport International Show on Saturday. 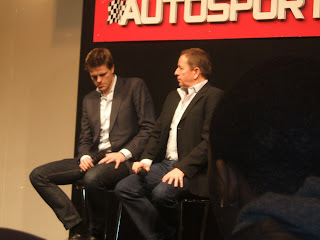 Had a jolly good time thanks for asking. 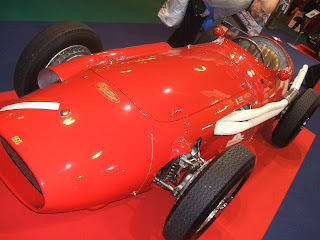 I always see it as a good start to the motor sport calendar. 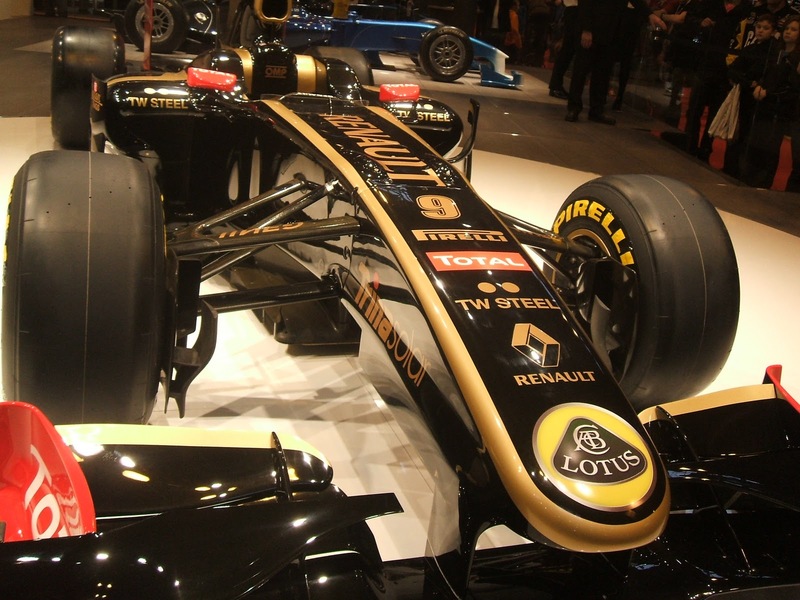 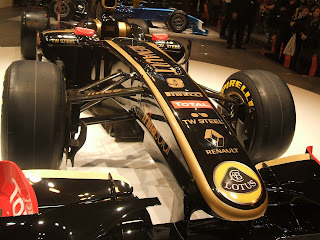 Plenty of cars, old and new, F1 and non-F1, are on display. 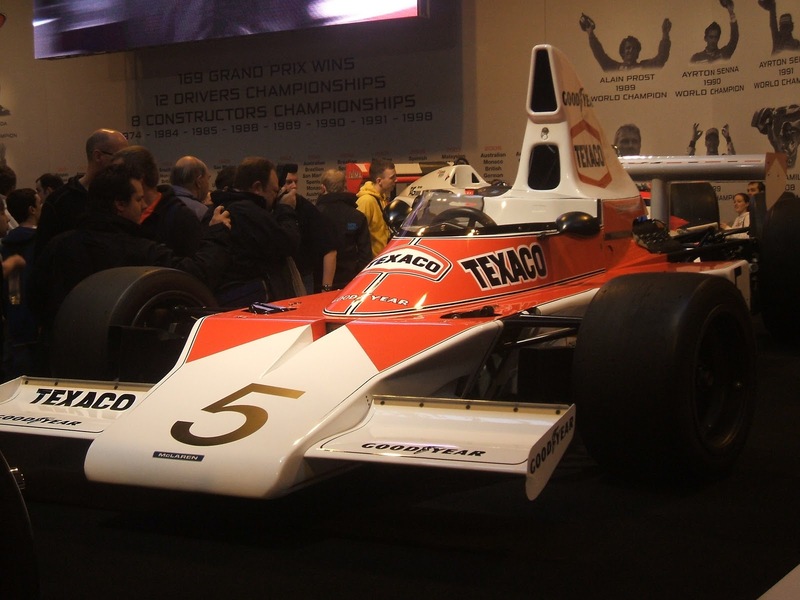 The F1 Racing display of the 2010 grid was, as usual, a highlight (though Ferrari were conspicuous by their absence), as was the historic display of McLarens (you sometimes have to remind yourself of McLaren's heritage, it never seems to come as easily as it does to the likes of Ferrari, Lotus, Williams etc). Drivers and others are in plentiful supply to talk and answer questions - this year included Martin Brundle, Jake Humphrey and Jody Scheckter, among others. 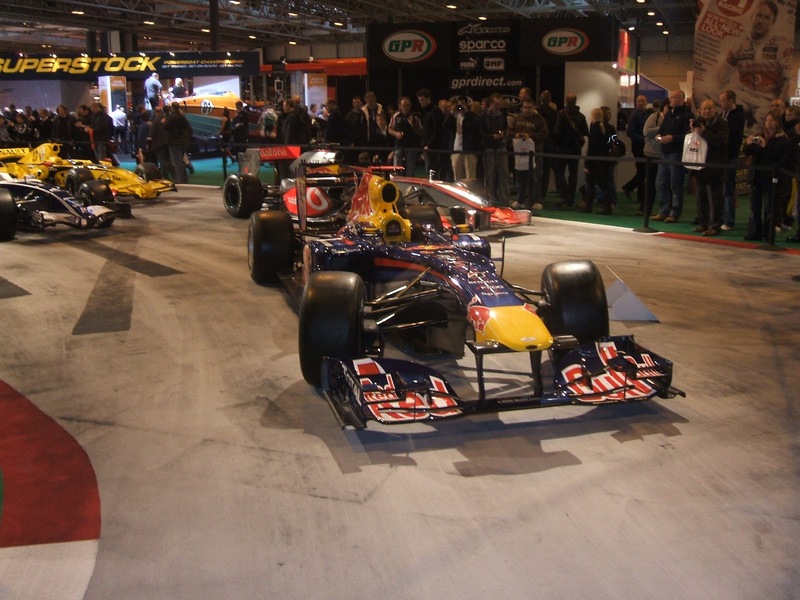 It's difficult to think of another major sport that offers such access to some of the main protagonists. It's also an opportunity to part with cash, with lots of merchandise and memorabilia on show. I managed to leave with a 1971 Autocourse, an F1 Racing magazine subscription, and a DVD of the 1964 British Grand Prix (really). 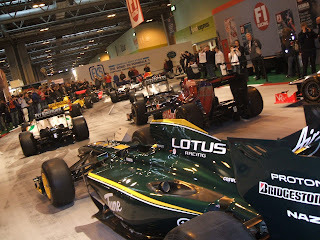 The live action arena is also good value, though I've never mastered how to take a decent photo at it.